Oral conditions, such as tooth decay, periodontal disease and oral cancer, are among the most common and widespread diseases of humankind. They are generally related to the same preventable risk factors associated with over 100 noncommunicable diseases. 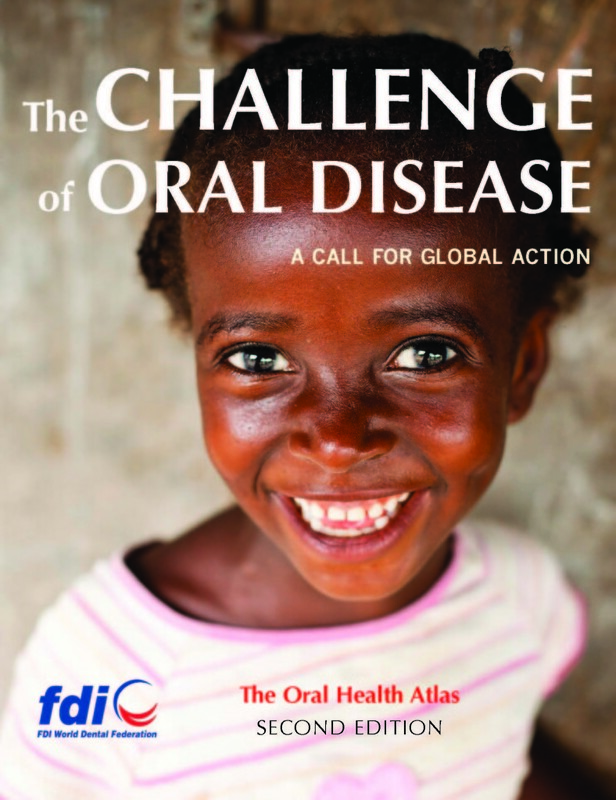 Yet, international attention to oral diseases does not match the high number of cases, nor the impact these have on individuals, populations and society. The FDI World Dental Federation has published this atlas to raise awareness of the significance of oral health in the fight against NCDs worldwide. Terrific – unique and so very impressive... It is comprehensive, but also has each subject so attractively displayed that its message should be easily recalled for later uses. Ranges from such upstream concepts to very basic evidence based advice for lay people on improving and protecting their oral health... the quality of production of the atlas is admirable. This is an excellent resource that should be widely used. The Atlas is terrific – unique and so very impressive. I don't know of another oral heath-related publication that could have near the impact that this surely must be having upon everyone who opens it. It is comprehensive, but also has each subject so attractively displayed that its message should be easily recalled for later uses. Many busy dental policy makers and lay people often need information on oral health and this is were they should go to for easily accessible, reliable information on a wide range of subjects ranging from basic information on, for example, the eruption dates of teeth to the social and economic determinants of oral health and prevention and dental treatment… Unlike most books on oral health, the atlas places great emphasis on the ‘causes of the causes’ of dental diseases… So three cheers for the authors of The Oral Health Atlas for placing the correct emphasis on what dentists should be addressing to improve oral health and deal with this neglected global health issue. An impressive aspect of the Atlas is that it ranges from such upstream concepts to very basic evidence based advice for lay people on improving and protecting their oral health. I am sure that many magazines will copy their beautifully illustrated pages on the subject. Indeed, the quality of production of the atlas is admirable. This is an excellent resource that should be widely used.